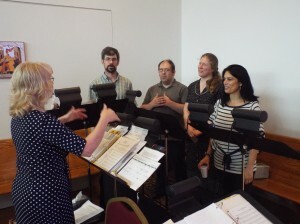 Liturgical music is not just for the choir. We encourage everyone to participate, by singing, reading the Epistles, or chanting. Please contact us with any questions you may have about the music at St Nicholas Orthodox Church. 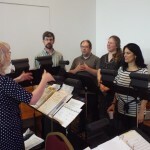 For more in-depth answers about music, its role in the Liturgical Life of Christ’s Holy Church, or the History of Music go to Antiochian.org/Music. Online Liturgical Guide, Weekly word-for-word texts for the divine services, along with embedded hyperlinks to corresponding sheet music. Includes a liturgical calendar, daily readings, listings of saints, fasting guidelines, and the popular spiritual “Thought for the Day” from the Church Fathers and our own Metropolitan JOSEPH.